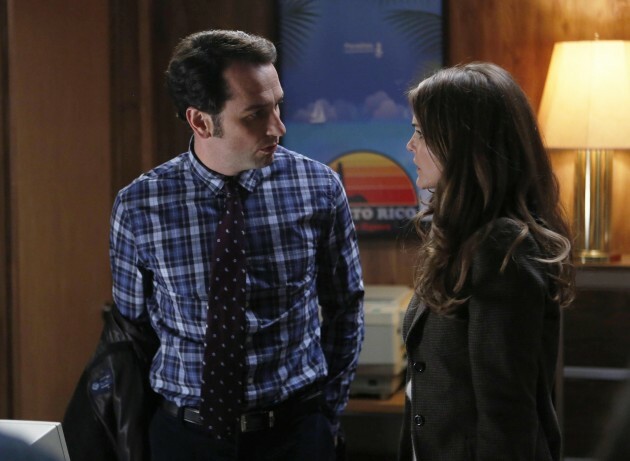 From the returning shows of this year’s midseason, I’m most excited about The Americans. I want to badly see the great Margo Martindale, see the new wigs and costumes that they will use, and see the blossoming love between Keri Russell and Matthew Rhys… and also their characters Elizabeth and Philip. If you haven’t seen the first season, go buy the DVD or the Blu-ray for 2 reasons, one, so you can watch it over and over again with very high quality, and two, the special features and extras are amazing. One of the best parts of the extras feature is the explanation of what is really going on between Clark and Martha, the 2nd best couple in the show. As you may already know, spies really did marry secretaries that worked in government agencies to get more information, but quit listening to me, go get the DVD! The blooper reel was funny, and it involves a lot of dancing. Remember Trust Me? The episode where the couple intentionally rammed their car to a tree? It turns out that the tree was a prop which just fell over on the first take so they had to re do it. Also another interesting thing about the show is that Steven Spielberg watches the rough cut and reads the script. He was so into it that he “got in touch” and offered some constructive criticisms. He was most helpful during the editing of the finale car chase because he actually gave his ideas. Mr. Spielberg was paid $1,700 for his contributions to the finale episode, which is sweet considering it was FREAKING STEVEN SPIELBERG!